Meeting with Faculty and Mr. Yugabrata 'Bubu' Kar, the Founder of the NGO Barefoot at St. Xavier's High School. Since Fall 2013, Meridian International Center, in partnership with the Public Affairs Section of the U.S. Embassy in New Delhi, has had the pleasure of implementing the U.S. Speaker and Specialist Program for India, a program designed to connect U.S. experts with Indian audiences and institutions; to promote an understanding of U.S. strategic priorities, policies and institutions; and to discuss the political, economic, social, and cultural context from which they arise. To date, through the program implemented by Meridian, some 45 American experts have traveled to India to engage with audiences through lectures, workshops, and seminars; through appearances in foreign media; and in a consultancy capacity. 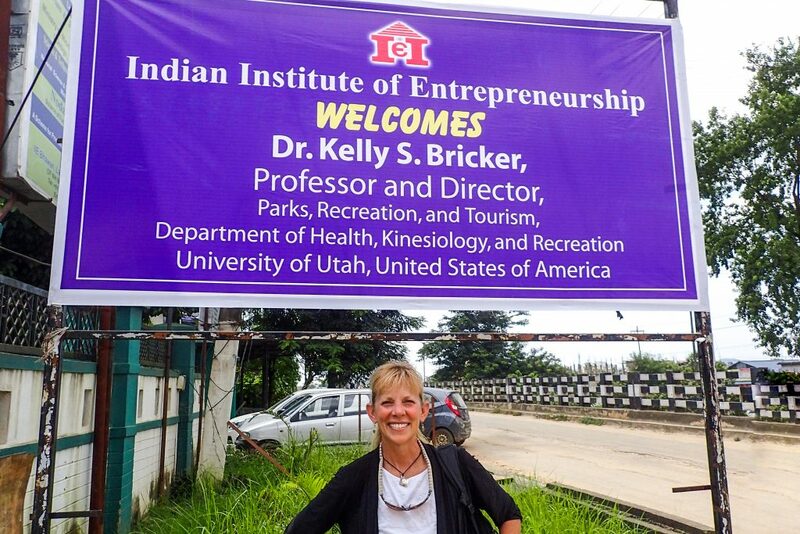 Our most recent speaker was Dr. Kelly Bricker, a Professor and the Director of Parks, Recreation, and Tourism at the University of Utah, who traveled in August of this year for ten days to several cities in India including Bhubaneswar, Puri, Guwahati, Kolkata and New Delhi to talk about sustainable tourism as a driver of economic growth, inclusive development and environmental sustainability. Dr. Bricker has authored and edited books on sustainability, which highlight case studies in tourism meeting environmental and societal issues and has published educational texts focused on adventure education. She also serves the boards of the Global Sustainable Tourism Council, the Multi-Stakeholder Advisory Committee of the United Nations World Tourism Organization 10YFP for sustainable development, and the Tourism and Protected Area Specialist Group of the IUCN – International Union for Conservation of Nature. Dr. Bricker completed her Ph.D. research with the Pennsylvania State University, where she specialized in sustainable tourism and protected area management. She has research and teaching interests in ecotourism, sense of place, community development, natural resource management, value of nature-based experiences, and the impacts of tourism. 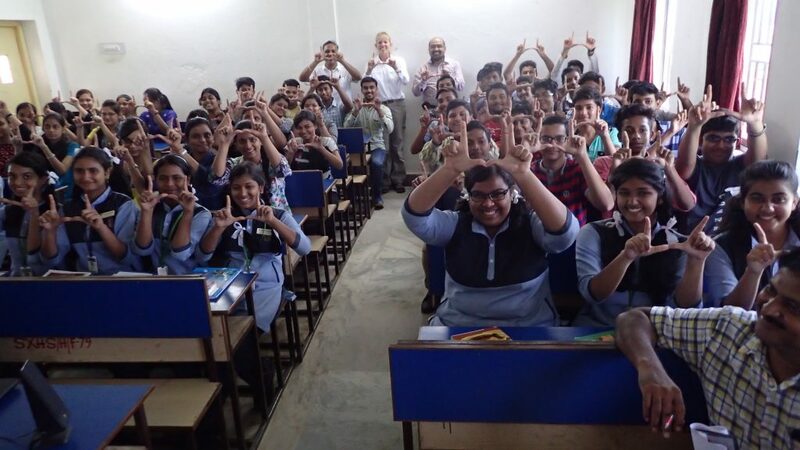 Some of the most interesting locations and activities Dr. Bricker engaged with while traveling to India as part of the U.S. Speaker program were the visit to the Indian Institute of Tourism and Travel Management in Bhubaneswar, where she presented on the business of tourism; her talk at the St. Xaviers High School with young students on the role and importance of tourism in promoting biodiversity conservation, youth and ecotourism; and the meeting with representatives from the Naturalists for Rehabilitation of Snakes and Birds (NRSB) in Kaziranga National Park, a UNESCO World Heritage site and one of the last unmodified natural areas in the Brahmaputra Valley floodplain, in the north-eastern India. The NRSB works with local naturalists, wildlife and birding guides for rehabilitating snakes and birds and aim to minimize human wildlife conflicts, ensure a conservation minded future generation. They execute all of this with minimal resources. Dr. Bricker was duly impressed by their work and even nominated the organization for a CNN Hero award. Meridian, through its Marketing and Communications Intern Giulia Campos, had the pleasure of conducting an interview with Dr. Kelly Bricker after her recent travel to learn more about her experience in the program this past summer. What do you think was the most important topic you spoke about which impressed the Indian audiences? I think the most important topic was how tourism can effect positive change if done sustainably. Their biggest take away from this? Hopefully, that they are doing some excellent work and to keep working on sustainability – that even one person can and does effect positive change. Whether it is environmental efforts, social-cultural efforts, or political efforts, or a combination thereof, as we saw in Kaziranga. 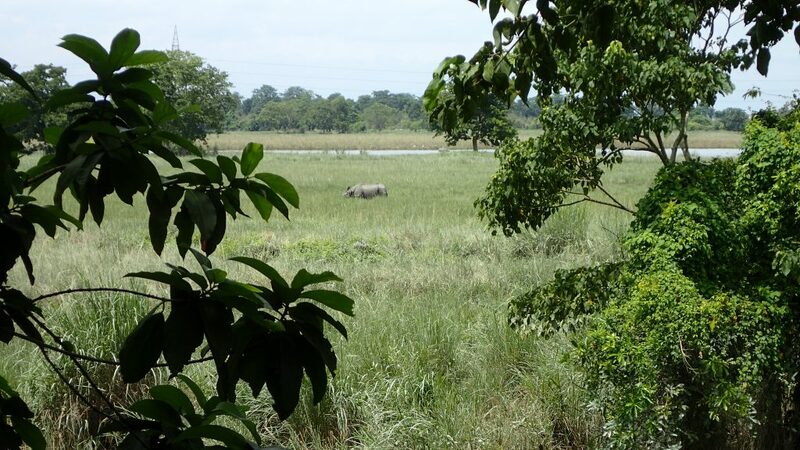 The amazing wildlife of Kaziranga National Park. Pictured an Asian Rhino. 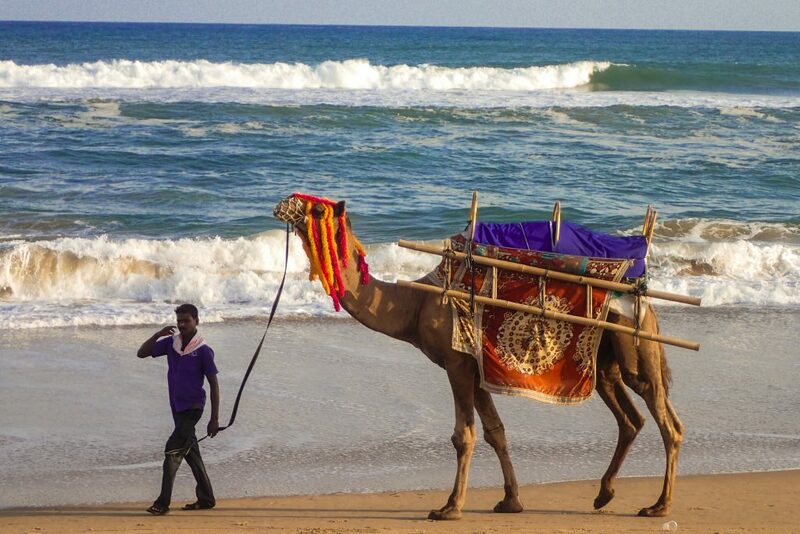 What was the most surprising thing you learnt about sustainable tourism in India? The lack of integration with government efforts. Planning, visitor management, community planning and integration was not prevalent. While there are communities doing excellent craft work, the conditions of the community, such as lack of adequate trash disposal, proliferation of street dogs, poor living conditions, takes away from the potential. 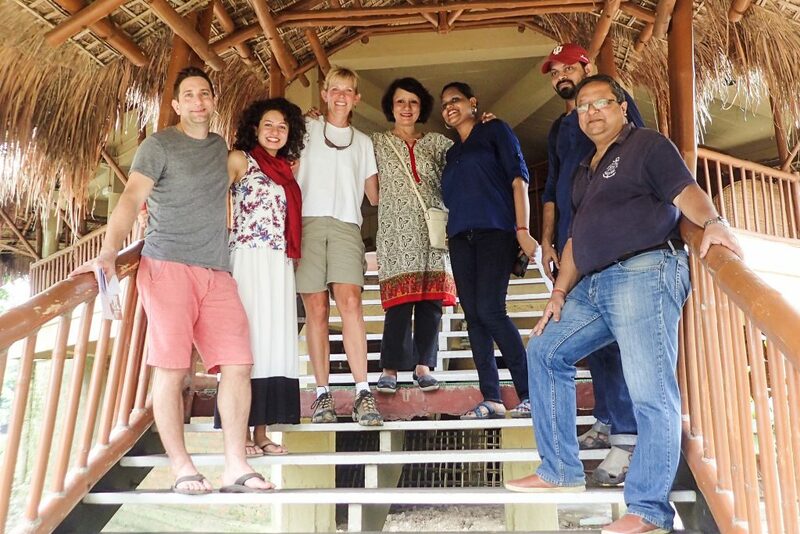 Visiting Diphlu Lodge in Kaziranga National park with its visionary founders. Another example is lack of visitor management on national parks, or protected areas. Visitor management is a key factor in protecting biodiversity, and in some areas this needs significant assistance. Do you have suggestions on how to better unite the Forestry and Environment Department with the Tourism Department? Which you mentioned as one of the struggles in Bhubaneswar. Perhaps one way is to form a destination level committee, whereby stakeholders from tourism, NGOs, and government sit together to discuss issues and challenges to sustainable tourism. Perhaps utilizing the GSTC Destination Criteria as a framework for organizing themselves and priorities. 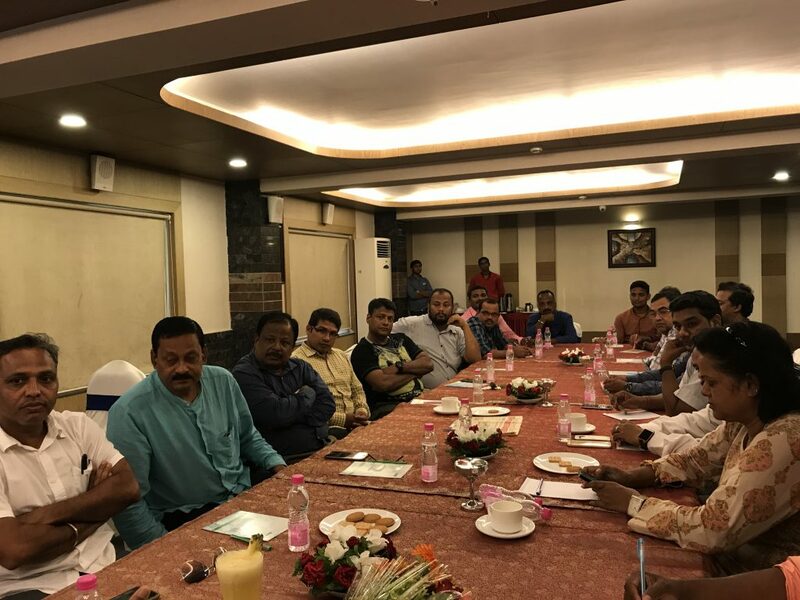 Meeting with leading tour operators of the Puri-Bhubaneswar region. In some areas, a tourism capacity assessment based on infrastructure support, such as adequate sewage, water supply, trash removal, etc. would be / could be of some assistance. How can the local communities protect more efficiently the cultural and natural heritage of potential tourism locations? The answer depends on the situation. Whether or not there are sites of national value, whether the community as the capacity to address protection and conservation, whether there is an interest in protecting these sites, etc. This type of protection is usually dependent on not just local communities, but a multi-stakeholder approach which utilizes the support of government, NGOs, community members, and private sector interests is needed. Are you currently working on any projects with the people and/or groups you’ve encountered in India? If so, what are your plans and projections? Yes, I worked with an individual to get him to a international ecotourism conference. I believe this was a good step and excellent awareness for a person already extremely proactive and working on terrific opportunities to engage sustainable tourism development. I have also contacted the universities visited, but so far no response. My hope was to discuss curriculum and research options throughout the system to engage sustainability practices in all regions of India. What kind of workshops would be useful to encourage and expose the population about conservation and sustainable tourism? The following topics could be useful in various regions: destination level sustainable tourism development and management; visitor use management, limits of acceptable change; capacity building; town infrastructure and planning for tourism; tourism product development; and marketing sustainable tourism. 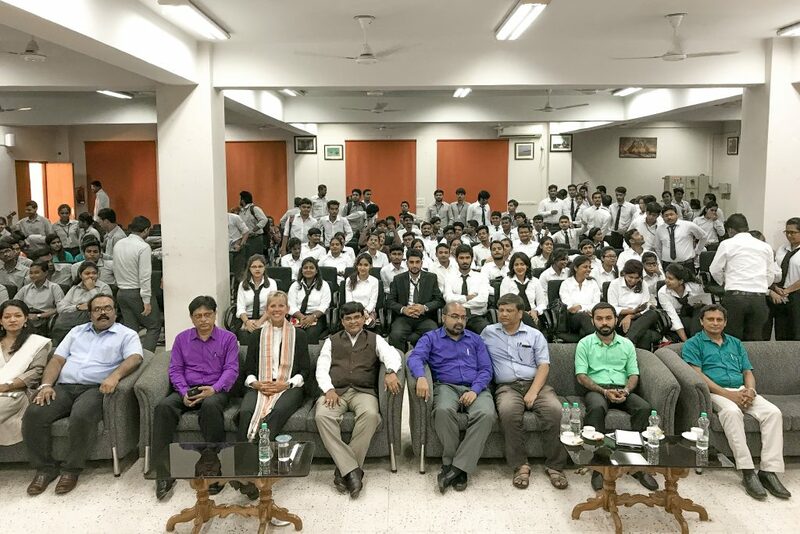 At the Indian Institute of Tourism and Travel Management one if India’s premiere organization in this field. Would you consider returning to India to implement any sustainable/ecotourism programs? Absolutely! I would definitely enjoy assisting in anyway residents/stakeholders feel would be helpful or useful. 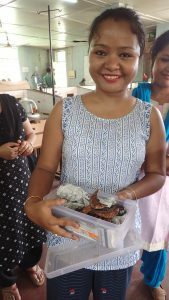 Aspiring artisan at the Indian Institute of Entrepreneurship. What was your biggest take away from this experience and how do you think it will impact future opportunities? I was deeply moved by various individuals making a difference in their respective communities. The elements are present, amazing natural and cultural heritage, including unique crafts and cultural traditions, incredible wildlife viewing opportunities. Secondly, the lack of coordination between government, communities, NGOs, and private sector was evident in many locations. Increased efforts to build capacity through technical training schools, degree programs, and certificate programs. 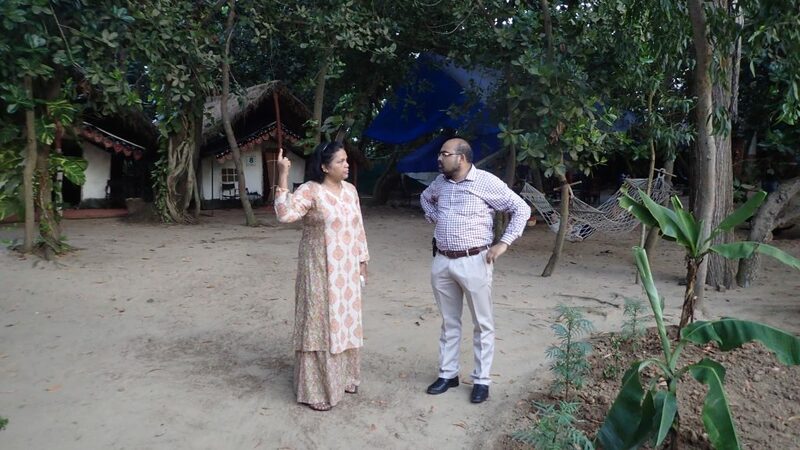 Visiting an ecotourism facility near Puri. 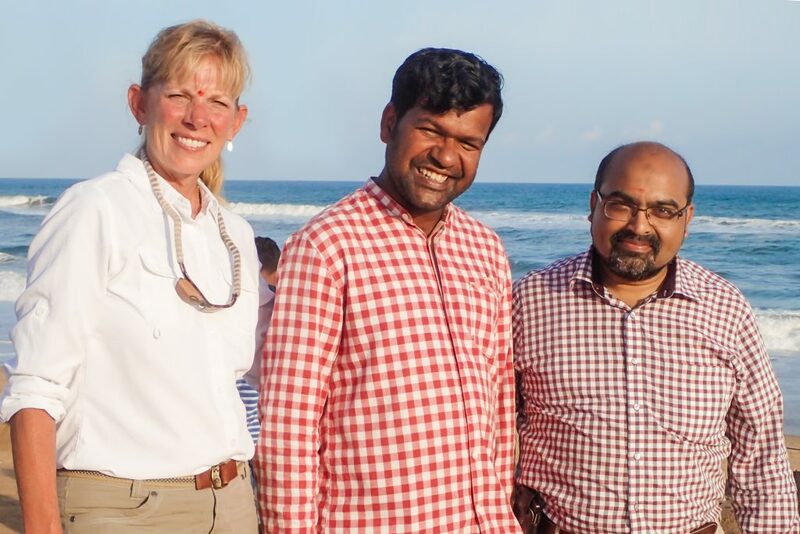 Dr. Kelly Bricker meeting with artist and social entrepreneur Sudarsan Pattnaik and with the Cultural Affairs Advisor Salil kadar. POST TAGS: India, International Exchange, U.S. Department of State, U.S. Speaker Program, UNESCO.